Deb's Cup of Tea: Hi Mom! This is Great! I will have to watch as I'm reading. 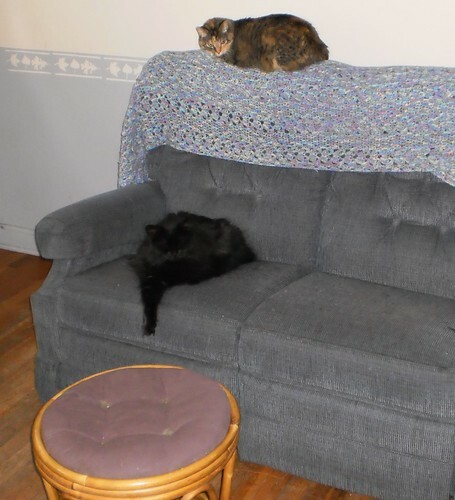 The shortest distance to the top of the love seat is floor, lap, climb torso, shoulder, seat back. I now anticipate wearing beverages and losing places in books.